This is Hippo Noto’s exclusive Robert Oster Signature ink. It is named Hippo Purple. At first I thought for an ink named purple, it doesn’t look very purple but Robert Oster Signature had revealed that the brief was for the ink to look like the purplish skin of an actual hippo. Thus, it doesn’t look overwhelmingly purple. Knowing the brief, I believe the colour fits well to its name. Hippo Purple is a dry ink. It shades subtly. I recommend filling this in a wet pen. Hippo Purple is not quite purple, not quite brown. 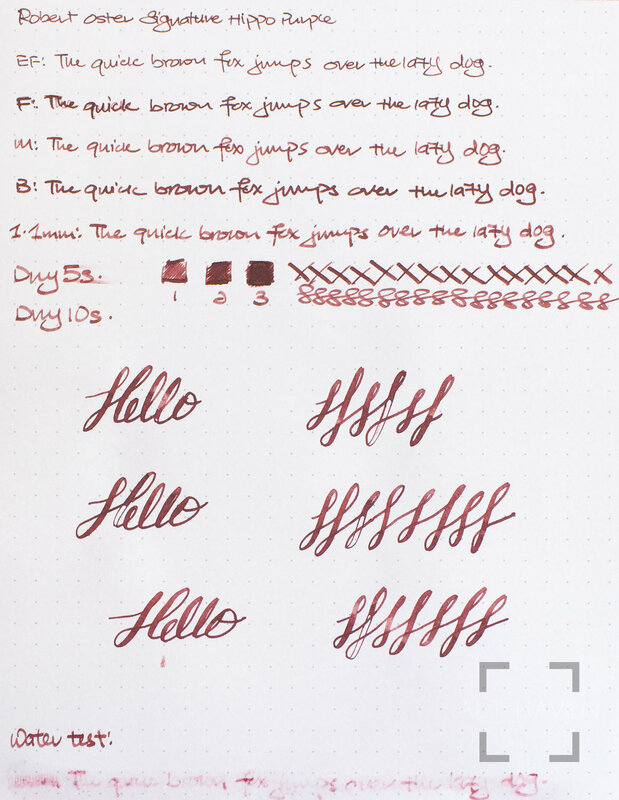 This is a truly unique colour that I’m having a tough time finding similar inks.